I want to get away, I want to fly awayyyy…Good ol’ Lenny was on the right track when he crooned his way to the top, but with flying biting into the cash pile and time being tight, we’re all about skipping the long-haul for a short getaway, like these easy Sunshine Coast day trips. Are you ready for some serious summer inspo for your wanderlusting feet? We rounded up the best Sunshine Coast day trips for you. Alrighty then! Let’s have it! Yes, we are aware it’s a city. And yes, it will take an hour or two to get there, depending where you are on the Coast. You may call them downsides, but once you’re exploring Brisbane, you’ll wonder why you got the shakes at the thought of leaving the Coast for a day trip to the big smoke. Gazing up at high-rises and inhaling car fumes is totes enjoyable when it’s done in between visiting fancy museums, shopping on Queen Street, and dropping into cat cafes. All those things the Coast lacks, but we still love! 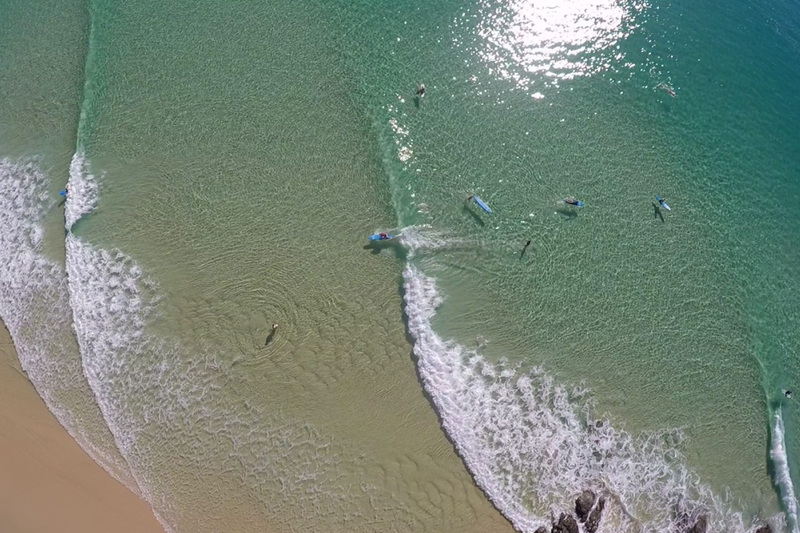 This little beach town on the Cooloola Coast, north of the Sunny Coast, is the gateway to Fraser Island. But there’s so much more to Rainbow Beach than its island neighbour. Head to the infamous Carlo Sandblow—if you’ve seen a photo of a giant sand dune in Queensland, this is probably it—for an involuntary cardio workout. But remember, what goes down must find its way back up, so only tumble down as far as your willing to climb. Exhausted? Take you and your sandy parts to the Rainbow Beach Hotel for a cold beer on the pub’s sprawling veranda. Four-legged friends are welcome to tag along! 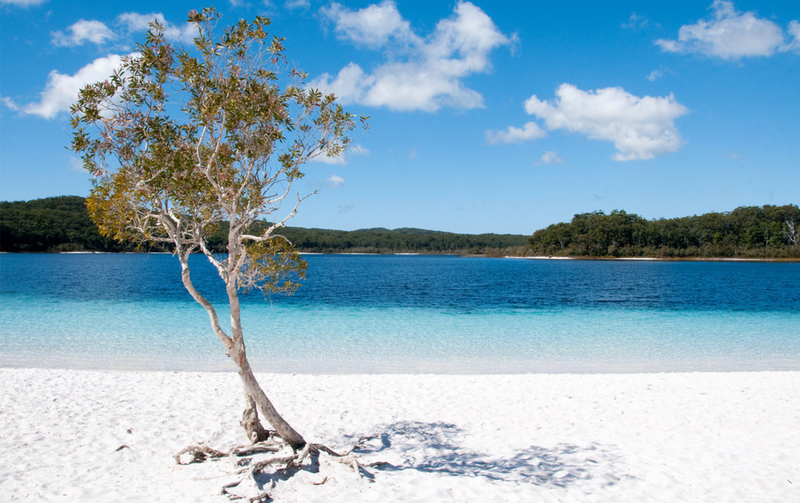 Fact: Fraser Island is the world’s largest sand island. Fact: If you haven’t visited, we think, no we’re telling you, you need to get there. Stat! One of the best (if not THE best) Sunshine Coast day trips on offer, this World Heritage-listed natural paradise is just a short ferry ride away from Inskip Point or Hervey Bay. You’ll need to have a 4WD at the ready or jump on a tour to discover what magic this place holds in its salty grasp. While it’s technically located on the Sunshine Coast, a day trip to Chenrezig feels like a world away. 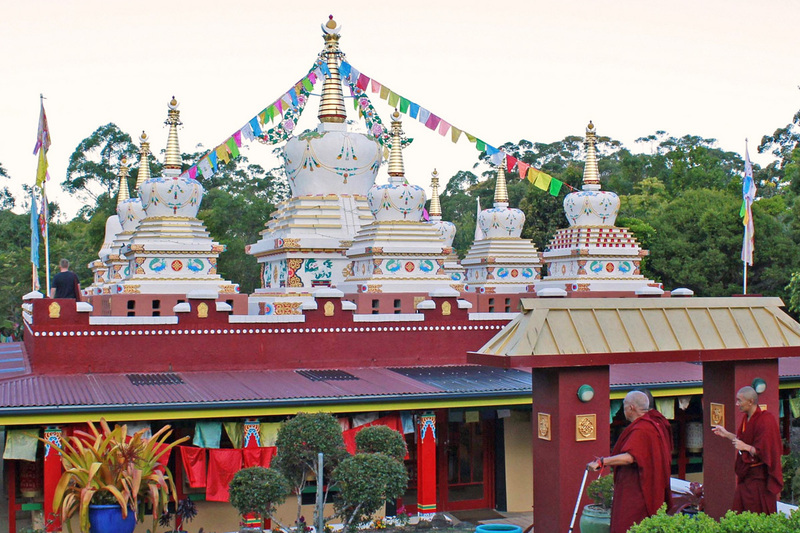 Set in the lush little town of Eudlo, getting your zen on at this Buddhist retreat is hardly a slog with guided meditation classes and teachings open to the public (that means you!). If you’re trying to get on your stomach’s good side after last night’s nasty takeaway, head here between 12pm and 1pm (and book a table before 10am that day), and you’ll get to feast on wholesome vegetarian food. So you’ve ticked off Maleny and Montville and Mapleton and Nambour, but are still craving a higher dose of fresh country air? Plus, you want to feel the excitement that comes with exploring somewhere new, without trekking too far? Well, firstly, you’re pretty needy! And secondly, it’s roady time! Jump in the car, windows down, tunes cranked, and drive your automobile to the Mary Valley region. Throw a few fishing rods in, a tent (in case the thought of heading back to civilisation is chilling), and get re-acquainted with the great outdoors. Oh, and do yourself a favour—shut your phone away in the glove box and forget about your next status update. This is real life! Got a 4WD, or know a friend of a friend who would totally invite you on their next Sunshine Coast day trip in exchange for a box of booze? Well, you’re onto a good thing (and now we hate you). Because unlike the rest of us road-bound folk, you can take a sandy mission along the beach, from Noosa North Shore to Double Island Point. Whatever you do, don’t forget your board! With a long, peeling right-hander that’s yours for the riding if conditions are right, ‘cause you’ll be throwing sand in your face if you arrive sans log. Want to take a day trip but the thought of hopping in a stinking hot car, where the seats stick to the back of your legs (ouch!) and the steering wheel can only be directed with fingertips, gives you mental hives? We feel ya! So instead of doing what “normal” people do, and accessing Bribie Island by car across the bridge, we suggest hiring a SUP from Golden Beach and accessing it via the water. Take a short paddle across, pull up on the bank, and then stroll this prime stretch of beach—you’ll probably have it all to yourself! Take note: At the northern tip of Bribie, it’s just you and nature. If you want shops, cafes, and all that jazz, better jump on the Bruce. What about checking out 17 Best Things To Do In The Noosa Hinterland? What about checking out The Best Glamping Spots On And Around The Sunshine Coast?